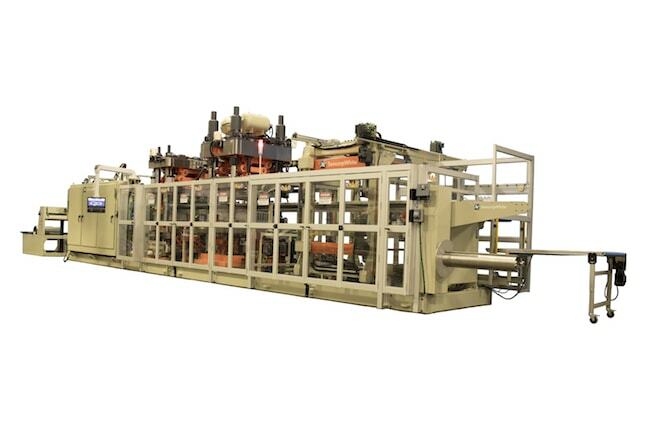 Learn more about our thermoformer machines. Sencorp brand Thermoformers are recognized as the work-horse machine for producing blister and clamshell packaging. These fast, reliable and efficient machines are the workhorses our clients depend upon. Sencorp’s state of the art Thermoformers are completely custom tailored to our clients needs providing unparalleled performance for our valued customers. Designed for multiple industries looking for more precision and control of form and trim, along with efficiency, the Ultra 2 is equipped with a more robust, heavy-duty rail transport system, unmatched in the industry…. Our Thermoformers are fully customizable. Each machine is tailored specifically to meet our clients unique needs. For more than 40 years, Sencorp Thermoformers have been recognized as the workhorses of the packaging industry. Newly updated, our Thermoformers provide unparalleled performance with sustainability in mind. Our unrivaled, quality engineering is the key to why our Thermoformers are the best on the market.